Wheels Turn on this 1997 red Corvette ornament. 2 1/2". 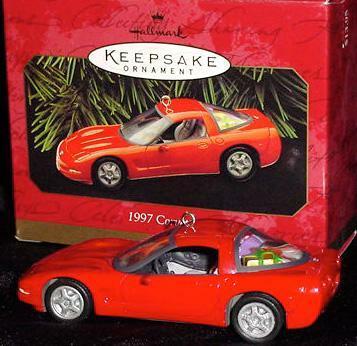 Items Similar To "Hallmark 1997 CORVETTE ornament"